There Are several ways to create segments. You can create groups, and send campaigns for only that group. You can create Custom Tags and send to that tag. Now you can create text fields, Like "Message openers" and "Message clickers"
After you have saved them, return to the overview and click the segment button. Create your segments, Like "Openers" and "Clickers"
You are Done Creating your Segments. Now it is time to fill those custom fields with your tag names. In the Setup part, click on Show more options. Update the settings and hit save and next. Now all the openers will have that tag, that will be picked up by your list segmenter, you created in the first part. Now it is time to segment your clickers, this will happen on the next page of the wizard. 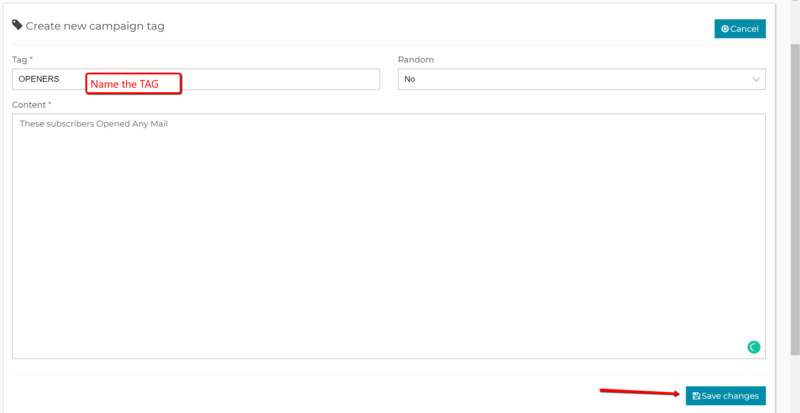 In the template part, Click "Change subscriber custom field on link click.. Select the URL, select the Custom field for the clickers, and add the value you created for the segment.